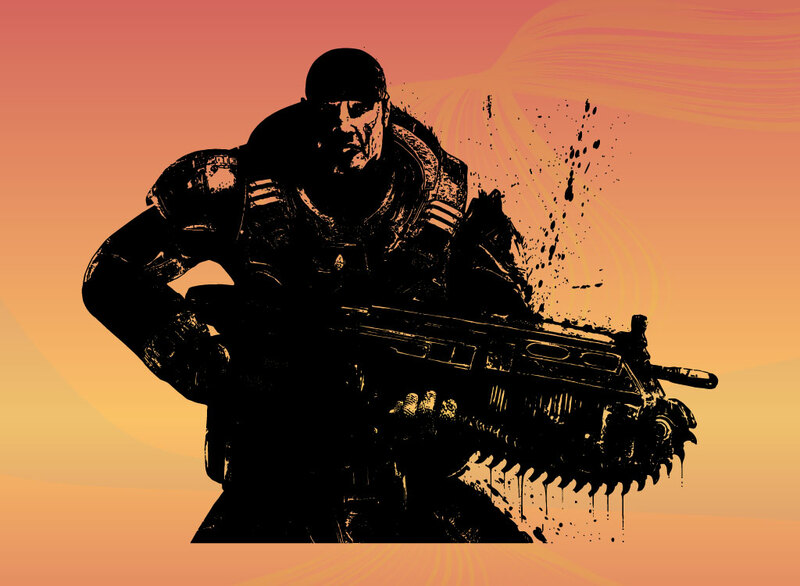 Marcus Fenix is the main character from “Gears of War” for XBox 360 and is captured in this threshold style free vector illustration. Download this highly detailed one color digital graphic for your fan art, desktop wallpapers, game related websites and forum signature designs. Tags: Battle, Fight, Games, Gears Of War, Hero, Marcus Fenix, Soldier, Weapon, Xbox.